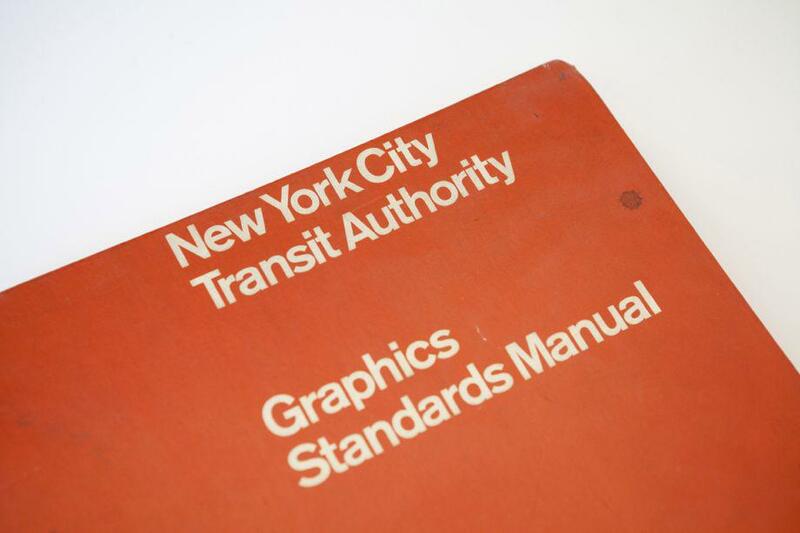 NYC Transit Authority Graphics Standards Manual, by Massimo Vignelli and Bob Noorda of Unimark, reissued as a limited-edition book. 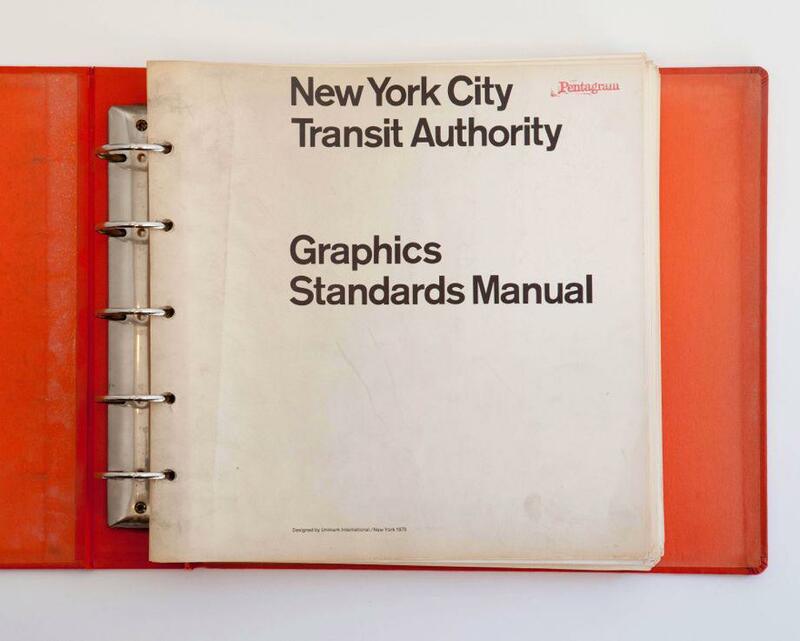 This rare copy of the New York City Transit Authority Graphic Standards Manual was discovered in 2012 in the basement of Pentagram in NYC. It still bears the stamp of its owner. The New York City subway was a confusing mess in the 1960s, with inconsistent, haphazard signage that made navigating the system a nightmare for commuters. In 1967, the New York City Transit Authority decided to do something about it. They hired Massimo Vignelli and Bob Noorda of the design firm Unimark International to design an improved signage and wayfinding system. 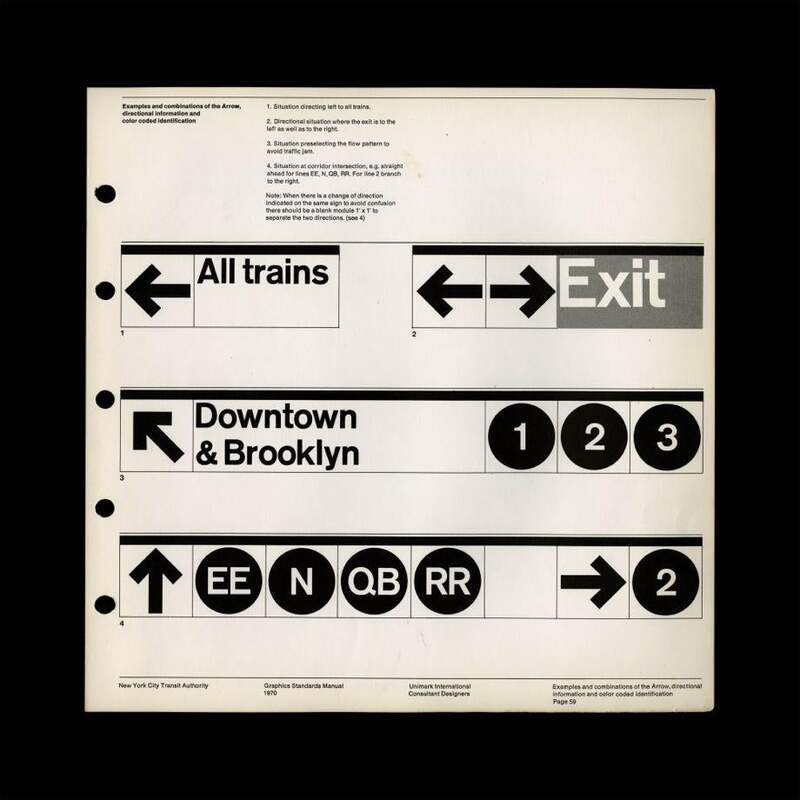 The designers spent four years studying the labyrinth of the subway, analyzing the habits of commuters, and devising the iconic visual identity of the NYC subway that is still in use today, documented in the 1970 New York City Transit Authority Graphic Standards Manual. 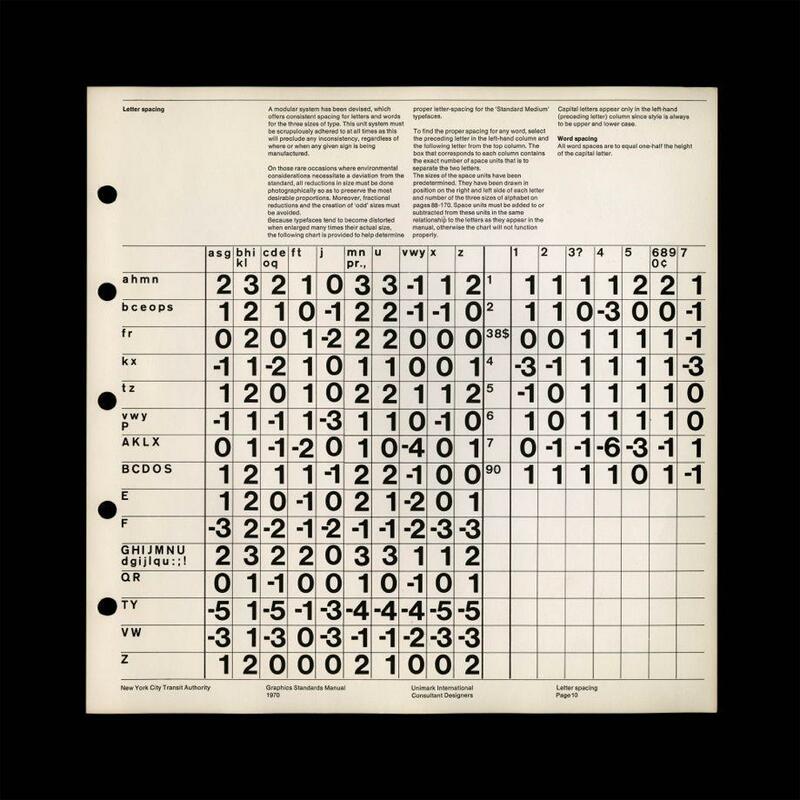 In 2012, designers Jesse Reed and Hamish Smyth of New York City design firm Pentagram discovered a rare copy of the manual in their office’s basement. They created a website that included scans of the manual to serve as a digital archive of the work that they call “one of the world’s classic examples of modern design” and shared it with friends. 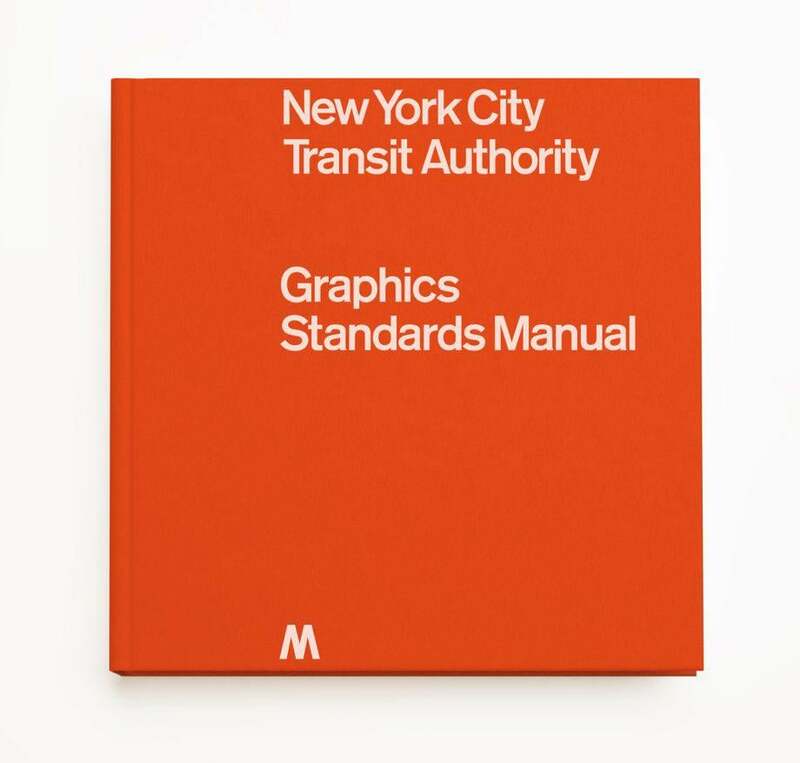 Within 72 hours, more than a quarter-million people had browsed the images, and they decided to approach the MTA about republishing the manual in all its full-size, printed glory. The MTA granted permission to reissue the manual as a hardcover book, on the condition that it only be made available during the length of a 30-day Kickstarter campaign to assure that the book will become and remain a collectible. 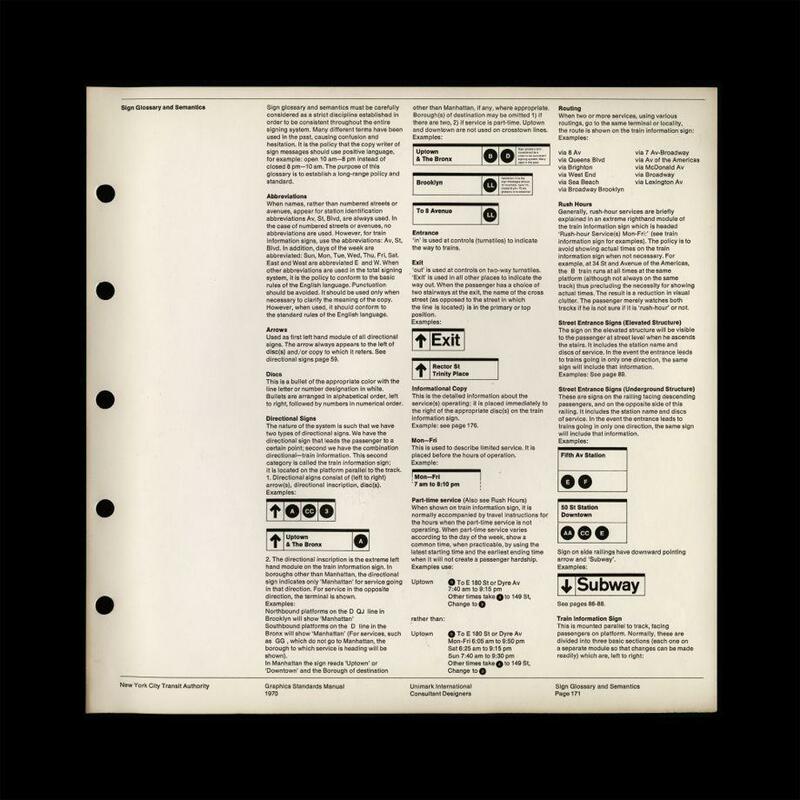 The front cover of the original 1970 printing of the manual, designed by Bob Noorda and Massimo Vignelli at Unimark. The manual will be printed using high-quality scans of the ring-binder original. Although the reprint will have a sewn binding, it will remain faithful to its single-sided page format. It will include an introduction by Vignelli’s protégé and Pentagram partner, Michael Bierut, and an essay from New York magazine’s Christopher Bonanos. Page 59. Different sign combinations were detailed to show how a strictly minimal system could adapt to the complex labyrinth that is the New York City subway. Page 10. The manual specified every possible letter combination and the spacing that must be allowed between each letter. This level of fastidious detail was a hallmark of Bob Noorda and Massimo Vignelli’s work. Page 171. Behind the stark, modernist graphics and typography lies a thorough and logical analysis of the NYC subway system that has informed the system signage to this day. Did reading the manual change the way riders experience the NYC subway or cause them to have epiphanies about elements of the design that they may have overlooked? *Correction, Sept. 15, 2014: This post originally misstated the size of the reprinted New York City Transit Authority Graphic Standards Manual. It will be 13.5 inches by 13.5 inches, not 14.25 inches by 13.5 inches.